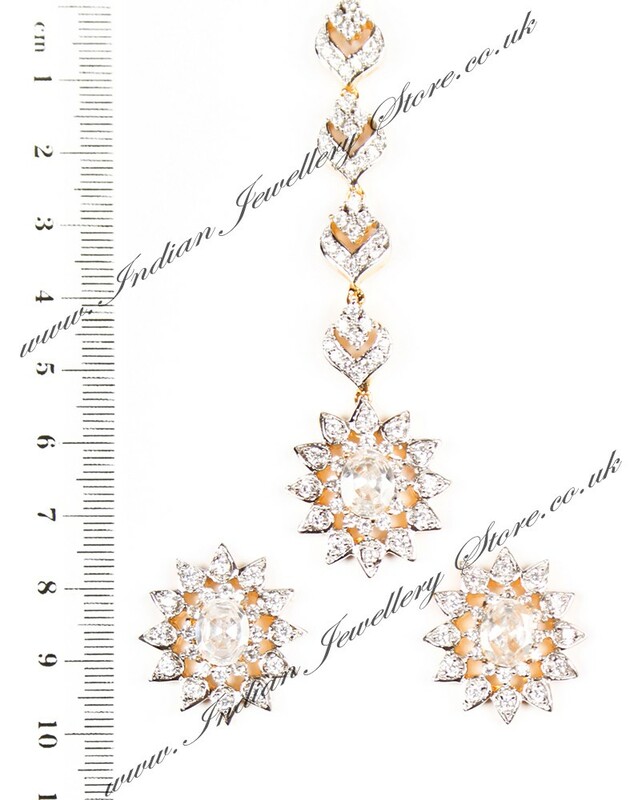 Indian tikka and stud earring set gold and rhodium plated (silver colour) and clear white, set with Fine American Diamond stones. 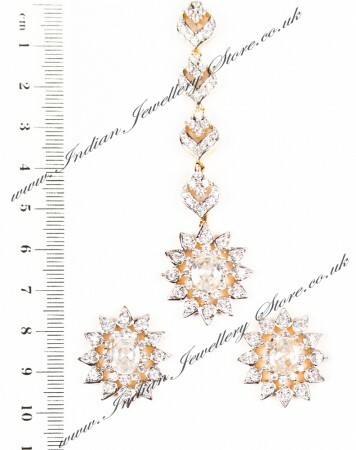 This earring-tikka set is highly elegant because of its high quality and its medium to delicate size. Also head wear and studs is the height of modern Bollywood fashion for right now. Making this Indian jewellery honestly suitable for all ages. Indian Jewellery Store LOVES this product. Other colours available. Scale shown in image is in cm.